Lucknow is one of the oldest city of India. Lucknow’s existence has been mentioned even in the epic The Ramayana. Then the name of the city was Laxmanabati during that time. In spite of being an ancient city, Lucknow was not that much flourished as Delhi or Agra – two important and enriched cities on the bank of the river Yamuna. Like Yamuna, Gomti is also destined to the river Ganges. After the confluence with Ganges, Gomti had to keep mum when Yamuna told Gomti about her own glory. The way a luckless girl behaves in front of a happy and prosperous girls, Gomti had to hear them silently by resisting her tears. God seemed to have noticed the silent cry of Gomti. At the last quarter of 18th Century, by the infallible direction of destiny, Mughal dynasty started declining, the “subedar” of Awadh started their journey and finally the capital of the new empire “Awadh” got shifted to Lucknow. The light of art and architecture started illuminating on the bank of Gomti. And Gomti got its own story to share with Yamuna. If you can go to the confluence of Ganges and Gomti in the late afternoon and pay your ears on the girly whisper of Ganges, Gomti and Yamuna, you can hear the story of Gomti. I am doing my best try to say the story that I heard by paying my head to the girly chit chat. Being your virtual guide, I promise to help you to explore the glorious days of Lucknow. But this is nothing but drinking a glass of water from the river Gomti. After death of Badshah Auragazaeb on 1707, Mughal Dynasty started losing its glory. During the time of Aurangazeb, Mughal empire were very liberal and secular up the regime of Badshah Shah Jahan but Aurangazeb was very intolerant. Not only other religions but also Shia muslims were in extremely trouble in Alamgirh’s tenure. People of India was looking for a change as they were very happy during the regim of Babur, Humayun, Akbar, Jahangir and Shah Jahan. Up to Aurangazeb’s regime, the Nawab family was a “Subedar” under Mughal Dynasty. But the journey of “Nawabs of Awadh” started by Burhan-Ul-Mulk on 1722. Faizabad was the first capital city. The dynasty flourished in the regime of the great Nawab Asaf Ud Doula (from 1775). When he decided to shift his capital to Lucknow. The legendary king Asaf Ud Doula was not only educated but also a patron of art and architecture. He had an ambition. Asaf Ud Doula knew that only ruling cannot make Lucknow a glorious city but art and architecture can give him what he wanted. In Asaf Ud Doula’s patronage, the epical journey of Lucknow started. He is considered the architect in general of Lucknow. A number of monuments, gardens and residential architectures were constructed in his time that elevated Lucknow to an architectural marvel. 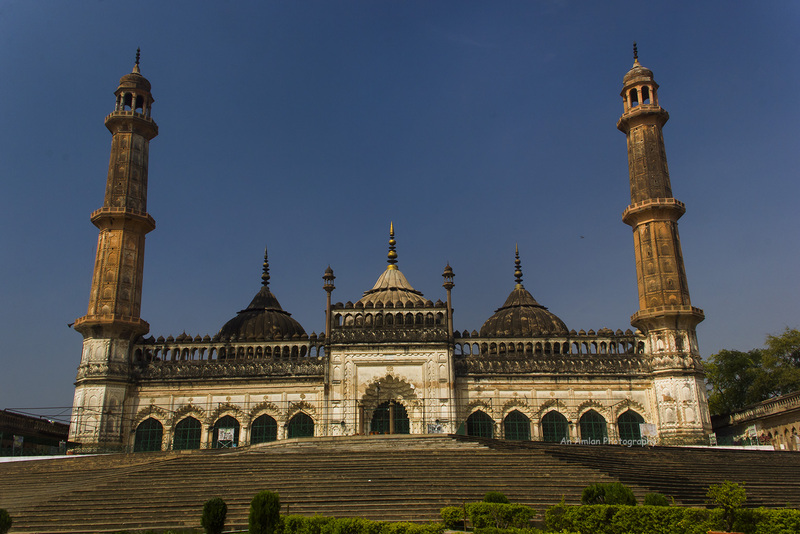 The most famous monuments in his time are Asafi Imambara, Rumi Darwaza and the first phase of Qaisar Bagh. Later Qaiser Bagh area was enriched by Sadaat Ali II, Hussain and Wajid Ali Shah. Right after purchasing the ticket please get a Tonga (a van pulled by horse). The Tonga will take you to Bara Imambara. Please don’t leave the tonga puller as he will take you to Chhota Imambara. As you have just crossed the gate 1 of Bara Imambara and walking towards the gate 2, I would like to say the story behind the construction of the gigantic architecture. Nawab Asaf Ud Doula created a global requirement for the position of architect. Many architects across the world came with their profile. He selected a Delhi architect Khiyafat Ullah after a competitive process. The plan of the Imambara was so robust that it required a huge land. The Nawab could show his power to uproot some residents. But Asaf Ud Doula was a people’s King. He found a new place near the river Gomti. Even in the new place an issue raised. A small hut owned by an old lady Lado Saqum stood in the chosen terrestrial. Initially Lado Saqum was reluctant to sell her land. Instead of showing muscle power Nawab met her personally and requested the land for the noble work. Lado was convinced with the greatness of the Nawab and agreed to sell her land with a condition. Honorable readers, now you have crossed the gate 2 of Bara Imambara Complex and reached in the main courtyard of the great structure. Now, the Imambara is in front of you. Shahi Baoli is on your left-hand side and Asafi Mosque is on the right-hand side. 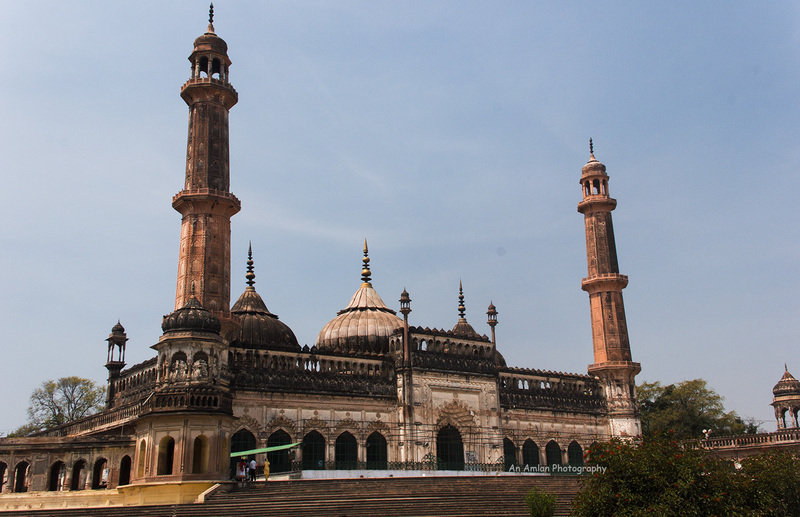 Here I would suggest you to visit the Imambara first. Since you have started your day so you are on the top of the energy level. At the entrance of the main building, please change your shoes but not shocks (because when you will be on the terrace of the Imambara, the heated floors will give burning heat on your feet). Please take a guide from here. They will charge you near about INR 500 bucks. If you don’t take a guide, you cannot explore the imambara thoroughly. The main hall is 50 meters by 16 meters over 15 meters tall. It has no beams supporting this ceiling. There are eight surrounding chambers built to different roof heights, permitting the space above these to be constructed as a three-dimensional labyrinth with passages interconnecting with through 489 identical doorways. Bhulbhulaiya, the labyrinth was constructed to confuse any enemy intruder. Some of the narrow stairways have dead ends, some of them has precipitous drop and only a few to exit point, some of the doorways will lead to the same point from where you started. 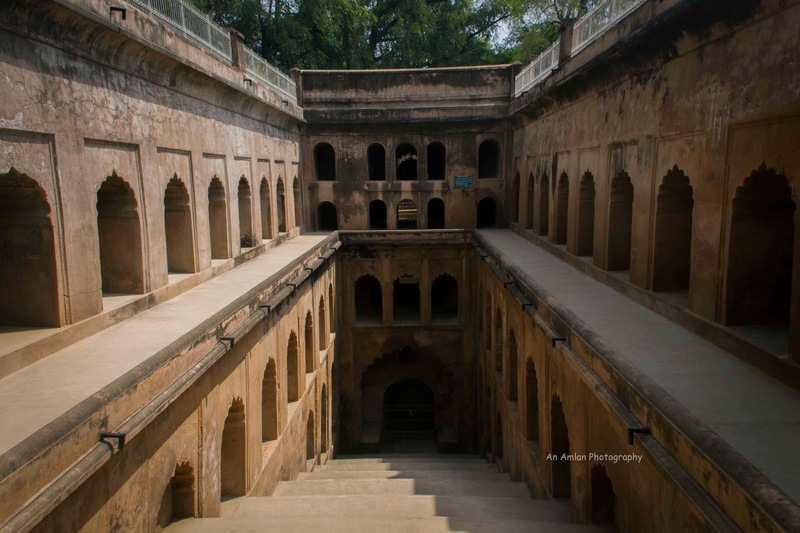 There is a legend that some of the stairways lead to hidden tunnels that are connected to river Gomti, nearest town Faizabad and even to Delhi. The legends sound convincing to me because strategically these connections have strategical benefit. Faizabad was the former capital of the Nawab and connection with river Gomti can help to escape in case of any emergency. The labyrinth was constructed so strategically that even a small noise can be heard from anywhere. In fact, if somebody whispers or light a match stick that can be heard from the other corner of the room. It also contains watching window by which the entire courtyard was clearly visible. Leave the technical things apart. The real fun is to get lost inside Bhulbhulaiya. I tried to do so. I took one after another staircase and after an unsuccessful try I came back to the same point from where I started. At last our guide Muhammad showed me the way. 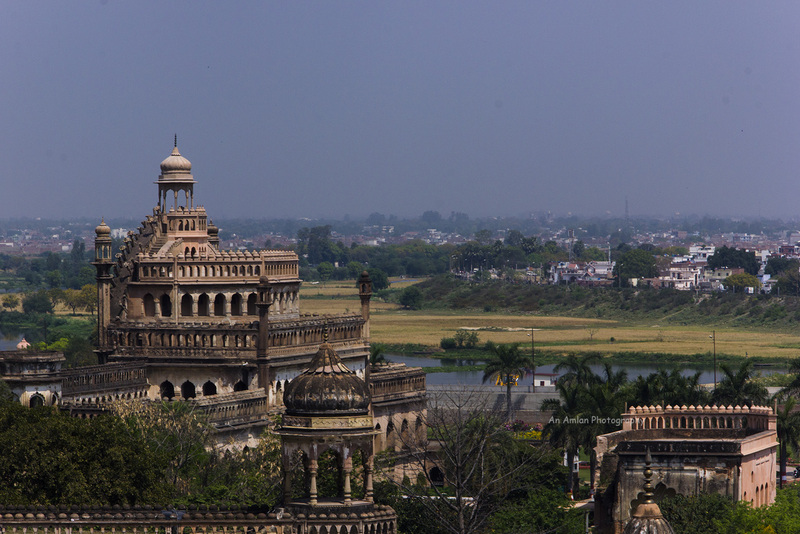 Viewing the entire Lucknow city from the terrace of Bara Imambara is a nice experience. Please stay ample time in this imambara. This can be a life time experience. At the end, come out of the structure and I am sure, you will give some extra tips to the guide. Now you are at the courtyard of the Bara Imambara complex. You can first see the grand mosque – Asafi Mosque. As said above, Asafi Mosque was also constructed by Asaf Ud Doula. 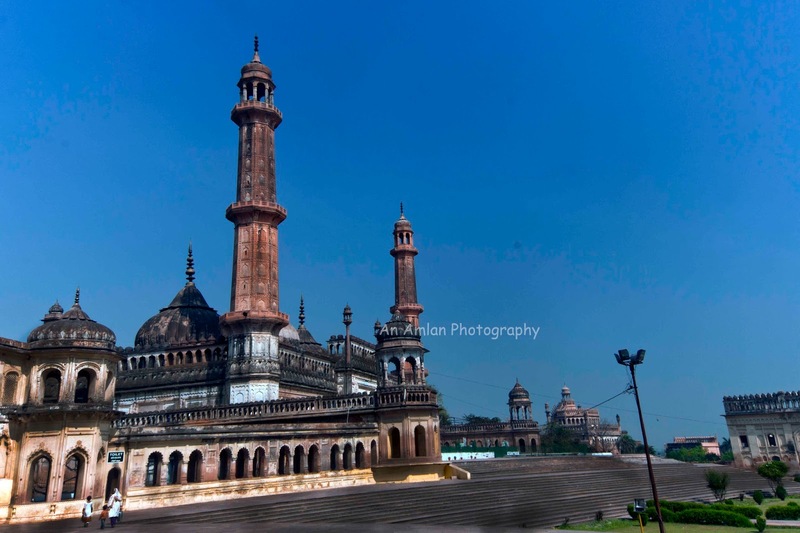 This is the biggest mosque in Lucknow. Asafi Mosque has been positioned in such an angle so that anybody inside the complex can offer prayer. The mosque can be approached by imposing few steps. Only Shia Muslims can go inside the mosque. Exceptionally this rule is followed only in Lucknow. I have visited Jama Masjid in Delhi, Nakhoda Masjid in Kolkata, Shat Gombuj Masjid (Sixty Dommed Mosque) in Bangladesh and many other mosques across Indian Subcontinent. Nobody stopped me, but only in Lucknow I was not allowed to go inside. If you are not a Shia Muslim (not even a Sunni Muslim can go inside the mosque) the only option for you is to get the exterior view of the gigantic mosque. Asafi Mosque was built of Lakhuri bricks laid in mortar and design extended by stucco which mostly confine to floral, geometrical and arabesque pattern. This is interesting. Here we can see the influence of Buddhist and Hindu architecture. So, we can see the secularism practiced by Nawab Asaf Ud Doula has been reflected in his creativity. We can say the Indo-Islamic Architecture that started with the foundation of Qutb Minar achieved completeness in Asafi Imambara Complex. Our next point is Shahi Baoli. Baoli is the stepped well to store water. Summer in India is very hot. So, it was required to store water. Baolis were dug to serve this purpose. 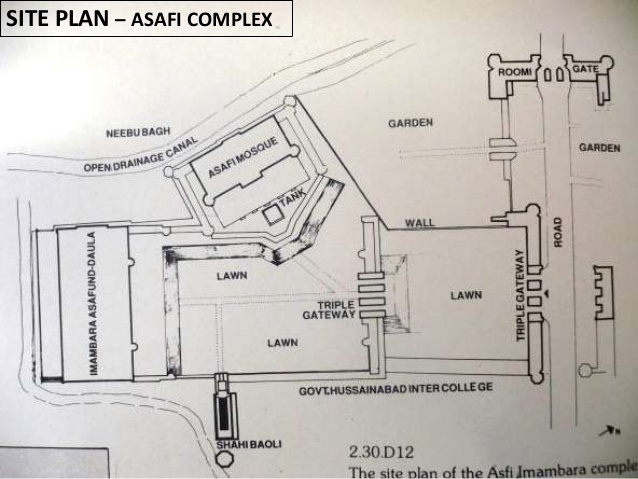 When Asafi Imambara and Asafi Masjid were constructed, the requirement of water was huge. A big well was dug to serve the purpose. Asaf Ud Doula had a unique plan. His creative and innovative mind suggested him to make a Baoli so that it could be the perennial source water for the day to day work of entire Imambara. 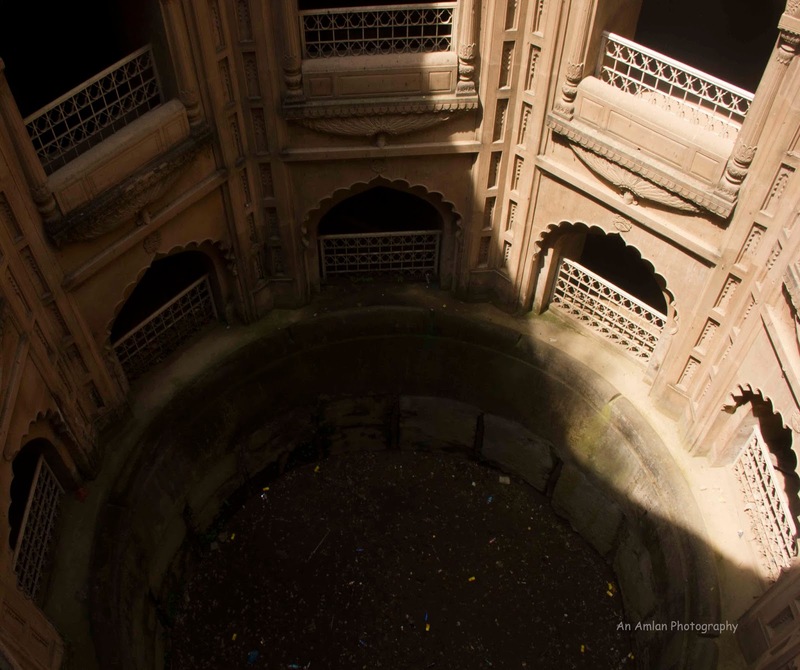 Shahi Baoli is located on the east side of Imambara Complex, opposite to Asafi Mosque and can be approached by an entrance gateway. It is built in sections in seven levels. Among them four are under the well, three are above the water level. The lower section consists of a large four-storied octagonal block. Our guide Mohammed showed us some unique features of Shahi Baoli. It has a small labyrinth. Another feature is if anybody entered in the Baoli, s/he can be spotted clearly by their reflection in water from any vantage point. Although when I visited there I experienced a dry well that may be due to the global warming. The construction of Shahi Baoli shows technical competence of design, construction skill and aesthetic balance of composition. Nakkarkhana and Nahabat Khana are located outside the Imambara and are not open for the tourists. Now Dear readers, you have completed visiting Bara Imambara and have already make got spellbound by the architectural beauty. Now take the tonga that you left before entering the complex and go to Rumi Darwaza. 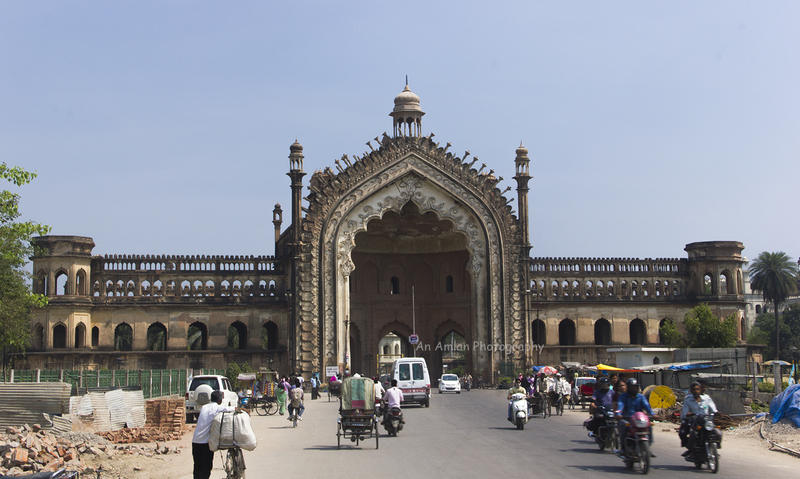 Rumi Darwaza, the main entrance of Bara Imambara stands historically on the old Hardoi Road with a distance of approximately 100 meters from the entrance of Bara Imambara. The magnificient architecture has two different views from each side (east and west). The gate is between Bara Imambara and Chhota Imambara. It has several levels and plan has been changed from one level to another. From west, it looks like a Mihrab, formed by two extra arches. All along lotus panels, cursive engravings and other geometric patterns are depicted to its body. From west side, it looks like a half crested shapped building. It has three medium sized gateways adorned with multi foiled arches with floral design. This is probably an influence of Rajput Style. On the roof of the gateway there is a pentagonal structure. Influence of Mughal architecture is observed in the minerates. The legendary Nawab Asaf Ud Doula and his architect Kifayat Ullah have shown due respect to ancient Indian origin and left their own signature in Indo-Islamic architecture. 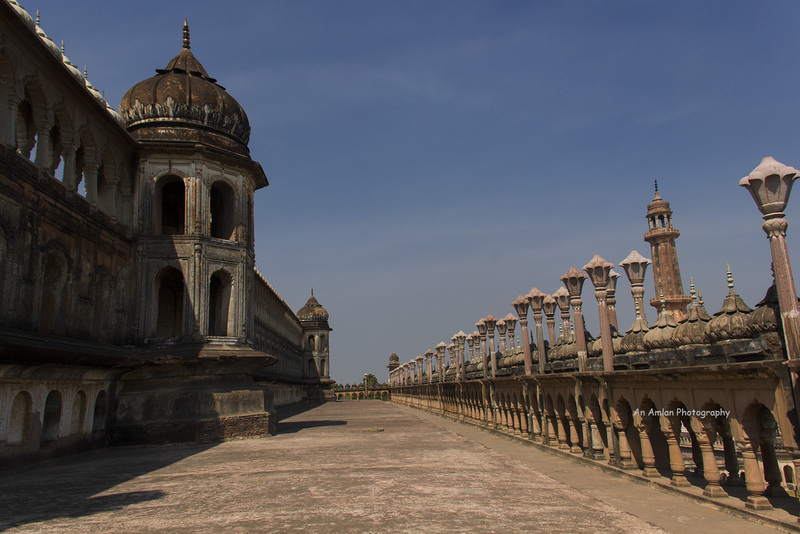 They not only gave completeness to Indo-Islamic Architecture but also brought renaissance in Lucknow. I don’t ordinarily comment but I gotta state thanks for the post on this great one : D.